SEGA's Alien: Isolation officially hits retail today following the roll out of a downloadable PC version and a new launch trailer yesterday. The early release of the downloadable PC version was announced on the game's Steam page on Monday, and the game will debut in retail for PC, Xbox 360, Xbox One, PS3 and PS4 today. The new chilling and atmospheric launch trailer shown below gives players a sneak peak at what to expect from the game, and hypes up the game in the process, showing the developer's unique brand of terror. 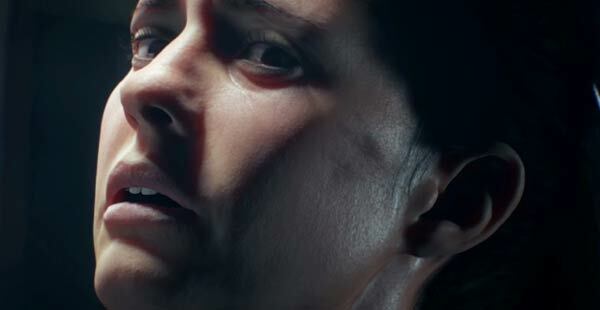 The game, developed by The Creative Assembly, follows Amanda Ripley, the daughter of the original Alien film's Ellen Ripley, on her quest to search for answers regarding her mother's disappearance. The trailer shifts the story to the Sevastopol space station, where a mission quickly goes awry and strands Amanda on the structure. There she finds herself one step too close to the reason behind her mother's disappearance. Still sitting on the fence after watching the trailer? You can head over and take a look at GameFront's review of the game, where it scored an impressive 92/100. Reviewer Phil Hornshaw comments: "The Creative Assembly said they were setting out to make the Alien game they’ve always wanted to play. They wound up making the one I always wanted to play." Elsewhere PC Gamer gave it 93/100 and called the title "a taut, confident, and electrifying horror game that perfectly captures the essence of Ridley Scott's legendary film." The only negative review I saw came from IGN. The reviewer there complained of the "many hundreds (yes, hundreds) of times I died without a chance to save myself" during the game and awarded it a 'medicore' 5.9/10 score. Let us know your thoughts about this latest Aliens game in the comments below. Omg, an alien game with an actual story. Looks like it could be a good one. With this and the upcoming release of Silent hill (although that may be way off) here's hoping for the revitalization of the survival horror genre.